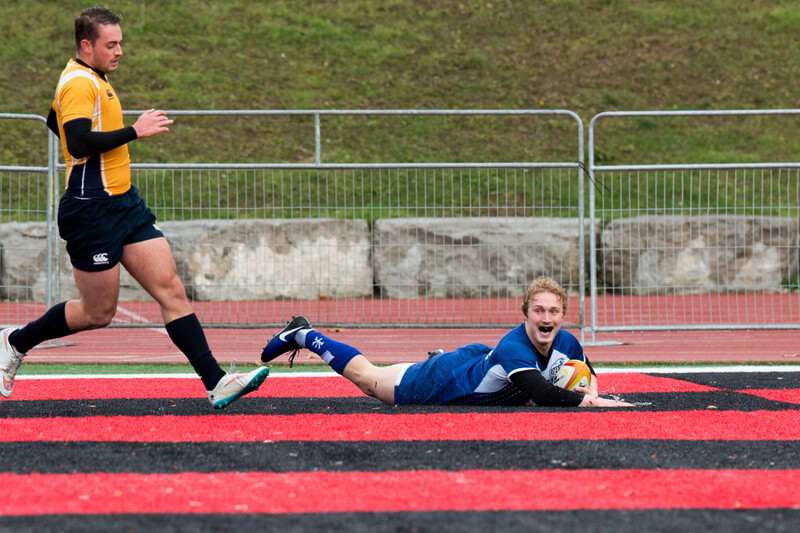 On a snowy Sunday afternoon in Guelph, the UBC Thunderbirds made Canadian men's university rugby history — hoisting the Spencer McTavish trophy and becoming the first ever national champion in university men's rugby. 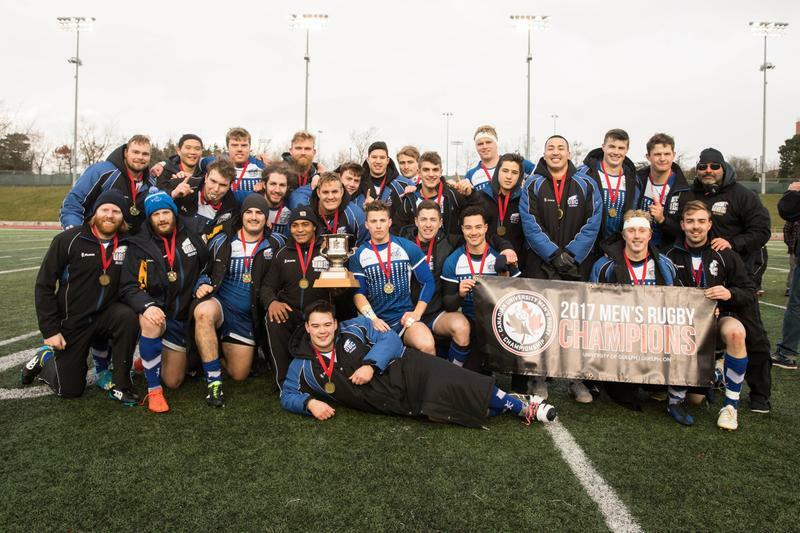 After blazing through the first two games of the tournament — defeating Concordia 46-0 and McMaster 38-6, the UBC Thunderbirds claimed the championship trophy in a Canada West battle against the University of Victoria (UVic) Vikes, with a final score of 37-12. In a high scoring affair for UBC, UVic had no answer to the T-Birds potent attack and had trouble finding opportunities offensively. In the 15th minute, UBC winger Cole Keffer scored off a 30 metre run down the left wing. Thunderbird outside-centre Niko Clironomos tacked on another five points, taking a 25 metre handoff to the house. The 22nd minute saw T-Bird eighth man Nick Allen plough into the try zone five metres out after taking a touch penalty. Man of the match James Carson capped off UBC’s 13 minute scoring barrage by reaching past the try line after a few phases at the 5 metre line. UBC team captain Theo Sauder and Clint Lemkus added to the lead in later minutes, bringing the score to 32-0 at the half. The second half was relatively quiet with both sides finding the try zone once. In the 68th minute, Vikes open-side flanker James O’Neill fell on top of the ball after pushing back UBC’s scrum. Carson, however, answered immediately, scoring his second try of the game two minutes later off a nice break. Victoria got the last points with a penalty try in the 75th. 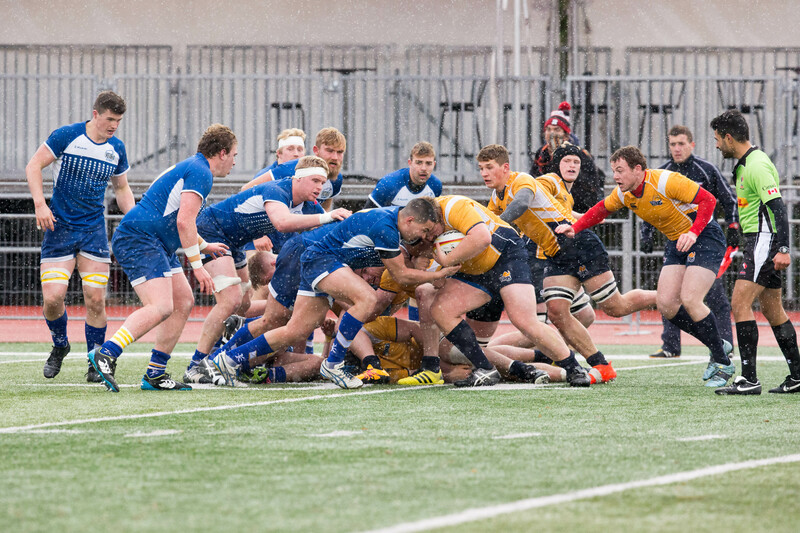 It wouldn't be enough for UVic to make up the difference and UBC would end the match ahead 37-12, winning them the inaugural Canadian University Men's Rugby Championship. Individually, UBC had three players in the top seven scoring leaders at the tournament. Sauder led the pack with 41 points overall, while Lemkus and Allen finished the weekend in a three-way tie for fifth with 15 points overall. Eight players were also named to the tournament's dream team. Overall, the T-Birds put up 121 points in the three-game inaugural tournament, conceding only 18. The team is currently on a nine game winning streak as it turns its attention back to the BC Premier League. Next up for the Thunderbirds is a November 25 fixture against the Nanaimo Hornets at the Gerald McGavin UBC Rugby Centre.